Experience Requirements:15 – 20 years' experience, out of which minimum 5 years should be as Head of Works with experience in execution of projects in modernization/ upgradation of Jute Mills. General Instructions: The engagement is purely temporary in nature and on contract basis for a period of two years. 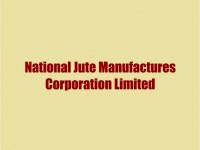 Contractual engagement will automatically come to an end on the expiry of aforesaid period of two years and person will have no right or claim to continue with National Jute Manufactures Corporation (NJMC) beyond the specified terms or seek regular employment. However, the period of contract may be extended at the discretion of the management.